South Suburban Savings: Catch Up On The Latest FREEBIES! Catch Up On The Latest FREEBIES! 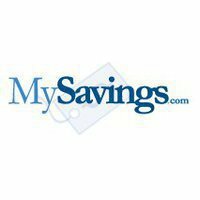 MySavings is one of my favorite trusted sites to find freebies. They have a directory of legit goodies that won't cost you a penny! Head over and make sure you haven't missed any great offers lately! Click here to check out the FREEBIES! **Please note that offers usually ask for your email address. As always, I recommend setting up a separate coupon/sample/etc email address so you don't flood your personal email with spam!